This interview with artist Wayne Thiebaud about Georgio Morandi is perfect. In case we can’t get to Bologna before October 2011, the Co-Director and EP of the video kindly placed a copy online for us all to see. The video accompanies an exhibition on the similarities of the two painters. 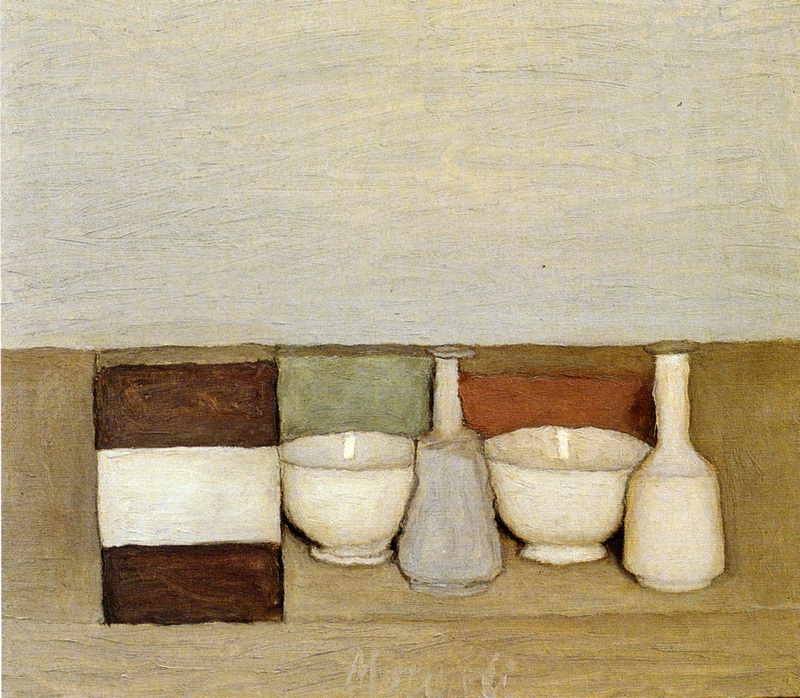 If you don’t have 13 minutes to spare then feel free to ponder the stillness of the Morandi painting below. Thank you for this wonderful piece. I particularly like his opinion that Morandi makes complete paintings but they are not finished, that is for the viewer to do.